When it comes to books, we are as divided as can be. Some people say that nothing can replace a good old paper book, some prefer the convenience and a light weight of an e-book. Some love to download books for free, some demand that writing a book is a labor-intensive process that has to be rewarded. The good news is - people don’t stop reading. But what direction should a bookstore take in this ever-changing reality? Barnes and Noble is a good example of a modern world bookstore. With 633 retail stores in all 50 US states (as of October 2017) and headquarters in NYC, it is the largest national bookstore chain that sells content, digital media, and educational materials. It is not just a bookstore; it is a great hang-out place as most locations have a cafe serving Starbucks coffee. To stay relevant, the store’s merchandise includes stationary, games and toys, arts and crafts, Nook readers and tablets, novelties. That, of course, goes on top of the books, newspapers and magazines, DVDs and music. 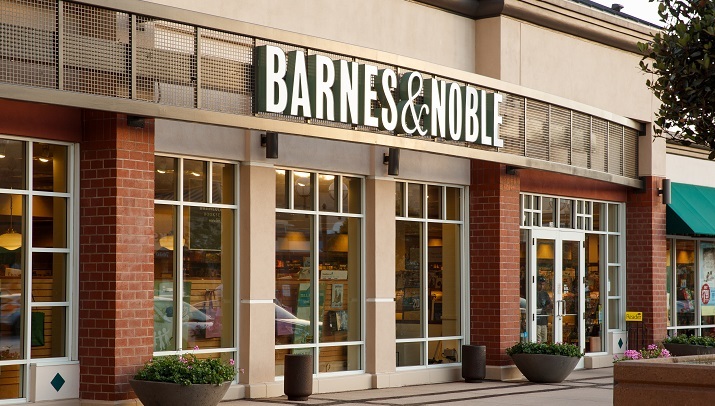 The story of Barnes and Noble starts back in 1886 when the first store was open in NYC under the name of Arthur Hinds & Company. A young Harvard graduate Gilbert Clifford Noble joined as a sales clerk the same year and by 1894 he became a partner with Arthur Hinds. Store’s name was changed to Hinds & Noble and was changed one last time to the way we know it today only in 1914 when Noble bought out Hinds’ share and partnered with William Barnes. After the deaths of both founders, Barnes’ son John Wilcox took over the company and in the next 20 years, it went through a vast expansion. New stores were opened in Brooklyn and Chicago, as well as in major schools like Harvard, City University of New York and others. In 1964, after his death, the company was kicked around between different owners for a few decades and had some ups and downs. But the best achievement of that time was publishing. The brand started publishing its own books and selling them to people via mail-order catalogs. The outreach skyrocketed. Now people knew about the brand all over the nation. The 80s and 90s indicated several successful store purchases, including B. Dalton and Bookshop chains. Hence, the outreach was not only virtual but physical. And the century was closed by launching the website BarnesandNoble.com. The website will come in handy in the new millennia, as the focus is clearly shifting to either reading books online or buying books online (or both). No surprise, that in 2010 the website president William Lynch was chosen as CEO with a sole mission of launching and promoting new electronic bookstore powered by Barnes and Noble’s own e-reader on the Android platform, the Nook. Its main competition, Kindle, encouraged the developers to continue with expanding Nook’s functionality and add a colored touch screen, WIFI, games and more features. However the e-reader didn’t withstand competitions and had to close down international sales and keep it local. Create personalized albums, cookbooks, or tributes with Barnes & Noble Press . Unlike Nook, the store itself has pretty much no retail competition. The “last man standing” is Book-A-Million chain that is only covering the Eastern part of the US. However, the main rival now is Amazon and other online stores that offer everything the store does but often at better rates. Hence the store, while laying off employees and closing locations, is trying to find ways to appeal to new consumers, besides making their own website user-friendly and easy to navigate. They proclaim that they have the most titles under their belt, hence, the search optimization is vital. The online store offers multiple ways to search for a title you need - by author, name or a keyword. Items are clearly separated into categories for the fast access. Free shipping on the orders of $25 + is also a nice touch. One of the other ideas that were implemented in order to increase the cash and customers flow is to expand the cafe portion of the store to the size of the restaurant with the appropriate services (full menu, beer, and wine, wait stuff, etc). That will allow more people to walk through the doors actual physical store location. That is now being put into effect is a few stores to see how it works. Besides coffee and cakes, various events with local and national authors, book release parties, book fairs, and other happenings are held regularly at the locations with the same idea - to bring people into the store. Another idea is to take on the “college edition” section and build stores dedicated specifically to school books and materials on and off campuses. Students will always need books and with them changing every year or two, going to the store will never get old. It is also a great way to employ college students to help them pay their way through school. Many campus locations have an agreement with the school and facilitate work study programs. By the way, Barnes and Noble never forgets to give back. Among the other community outreach programs, they help promote literacy and encourage people to join their reading challenges and camps. Discover brand new strategy games, now available at Barnes & Noble . It is clear that Barnes and Noble is not going to give up the battle against technology, but rather embrace the change and accept it. Through its 132 year history, the company learned to adapt to the current demands of the consumers and understand the trends and the needs. 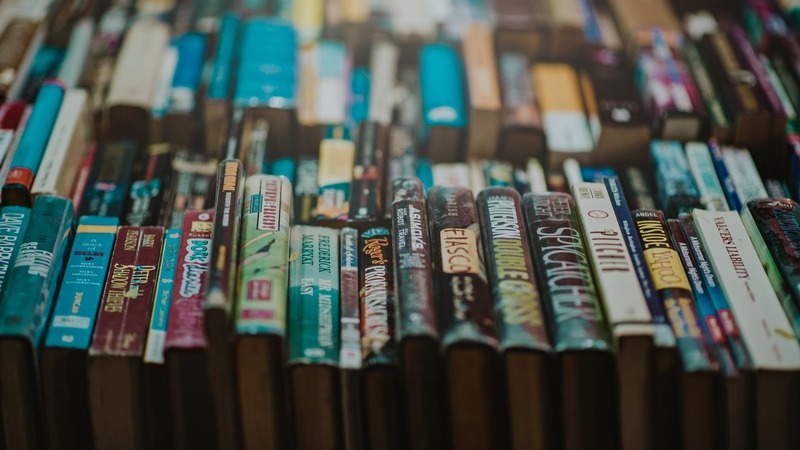 With the physical and virtual book selling platforms, varicose supportive merchandise, niche stores, cafes, and e-books Barnes and Noble answered the call and is sure to meet what the future has to offer.